April is poetry month and for the first time in a long time I've got stuff planned all month! I've been sharing some poems from some of my favorite poetry books. 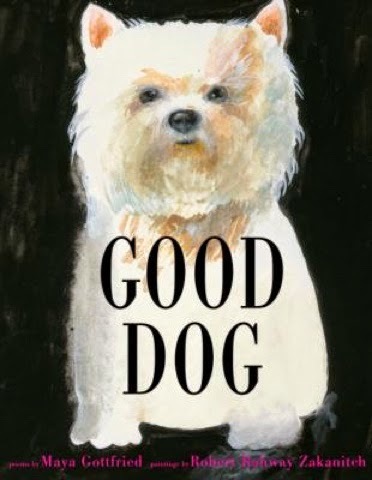 I love the poems in "Good Dog" becuase they are told from the point of view of different breeds... The Chihuahua poem shows hyper, yet tough personality. The Maltese is a beautiful bride with a vow poem from her owner to love and cherish her. And my favorite is the Pomeranian who has just gone to the groomer and is admonishing his owner for embarrasing him by making him look like a "powder puff". 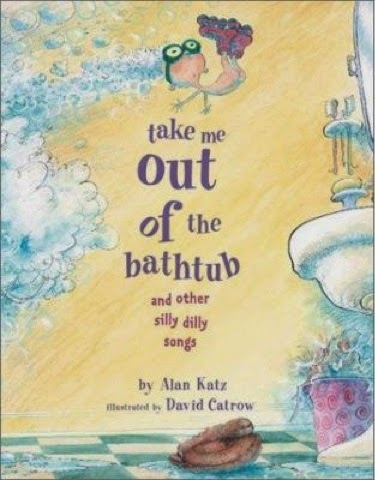 Alan Katz visited my school 3 years ago and is just as funny in person as his Silly Dilly songs. My favorite in this book is "Stinky, Stinky Diaper Change" sung to the toon of "Twinkle, Twinkle Little Star". 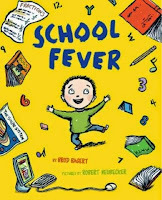 School Fever has great poems about the librarian who conquers a mouse in the library by reading to him, the cafeteria food, and my favorite from this one is a boy who professes his love for his teacher and since he can't tell her he loves her, drives her crazy instead. 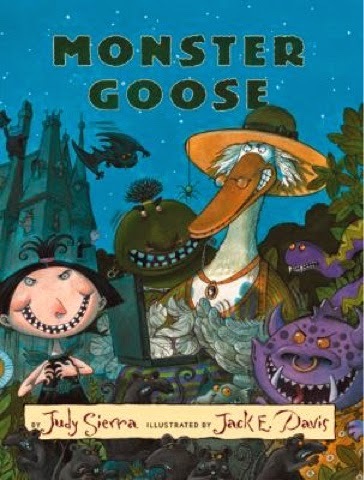 And Judy Sierra take Mother Goose favorites and turns them into monster rhymes in this hilarious book. 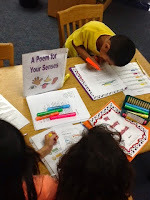 We are also having Poetry Alive on May 4th and to get ready for their visit, another librarian and I created some centers based on the poems they might perform. 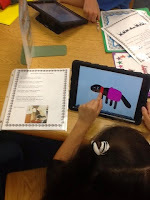 My first class of 2nd graders visted today and had a great time writing a list poem, drawing the characters from "Don't Let Your Cat Wear an Apron" with DoodleBuddy on the iPad and using highlihters to find words that describe senses in "The Cat on My Lap". I have different centers for 3rd-5th grade that will start next week. 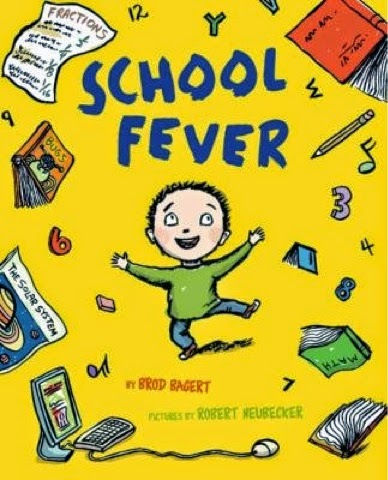 At the end of the month we are going to be connecting with other classes via skype to share poetry. 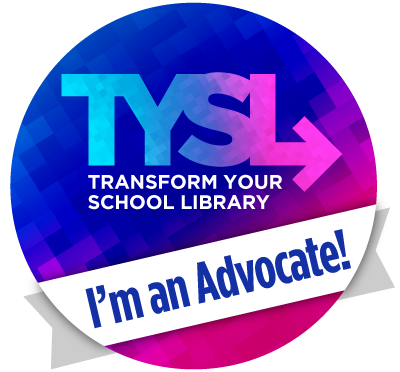 If you are interested in participating in that here is the link to the google doc. 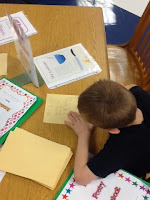 We are also celebrating "Poem in My Pocket" Day on April 30. What are you doing to celebrate poetry month?